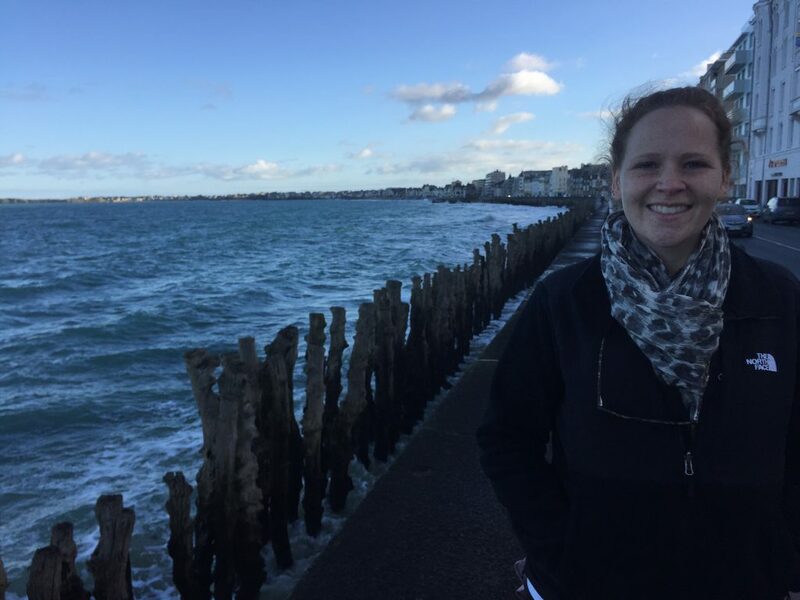 Mary Latimer wrote this post as a final project for Stacy Krueger-Hadfield’s Science Communication course at the University of Alabama at Birmingham. She is a third year PhD student at UAB studying miRNAs and methionine restriction. Her hobbies include cats, netflix, and coffee. You can find out more about her research here. Genes that deal with stress, growth, and even reproduction are tightly regulated by a number of mechanisms. Micro-RNAs (miRs) are one of these mechanisms. miR’s are short 18-22 nucleotide sequences and were first identified in C. elegans as non-coding RNAs with the ability to control larval developmental timing. In animals, the mature miR targets a small seed sequence in the 3’UTR of mRNAs and alters gene expression by either causing degradation of the mRNA transcript. Studies in three-spined sticklebacks have demonstrated how miR’s enable adaptation to pretty profound changes in salinity and temperature. Chaturvedi et al. (2014) identified the miR targets in these fish and predicted an astounding 1,486 mature miRNAs with 1,940 unique targets in 3’ UTRs (Fig.1). Yet, they lacked hard evidence about their roles in freshwater adaptation or temperature tolerance. Fig.1 Circos (Krzywinski et al. 2009) plot of the miRNAs (in blue on the outer rim) the corresponding chromosome (multi-color on the inner circle) with lines linking the miRNA to its 3’ UTR (Figure from Chaturvedi et al. 2014). Rastorguev et al. (2016) were able to fill this gap by collecting gill tissue from ecotypes of the freshwater and saltwater three-spined sticklebacks, they identified novel miRs involved in the adaptation to salt tolerance in the gill tissue. In total, the authors were able to identify 595 miR genes present in the gill tissue. Only 297 of these were previously identified by Chaturvedi et al. (2014), highlighting the importance of using sequencing approaches along with bioinformatic prediction to obtain clear results. In practice this means using next generation sequencing in tandem with programs for calling potential miR target genes and interaction networks. Nevertheless, Rastorguev et al. (2016) found 10 of the novel miRs were located in five ‘divergence islands.’ These divergence islands had a high frequency of freshwater SNP alleles that are associated with osmoregulation. The non-random placement of miR genes in this area is likely related to freshwater adaptation mechanisms. So what does this mean for molecular ecology? These two studies represent the first time miRNAs have been used to evaluate mechanisms related to adaptation. Remarkably miRs may play a role in controlling up to 60% of genes in animals and could potentially be used to study changes in a wide variety of areas. miR exploration could illuminate the changes mammals must undergo when adapting to increased temperatures by exploring regulation of heat shock proteins. We already know that HSP’s are post transcriptionally regulated (Mosley et al., 1993) but the mechanism of regulation is still unknown and could involve miRs. Regulation of ion transport proteins and claudins in the kidney involve a miR mediated pathway (Gong et al., 2012) but the role of these mechanisms in evolutionary freshwater adaptations in fish remains to be elucidated. While this area is still relatively new, it offers a window into how small molecules can make big differences when it comes to gene regulation. 1) Chaturvedi, Anurag, Joost AM Raeymaekers, and Filip AM Volckaert. Computational identification of miRNAs, their targets and functions in three‐spined stickleback (Gasterosteus aculeatus). Molecular Ecology Resources (2014) 14: 768-777. 2) Krzywinski, M.I., et al. 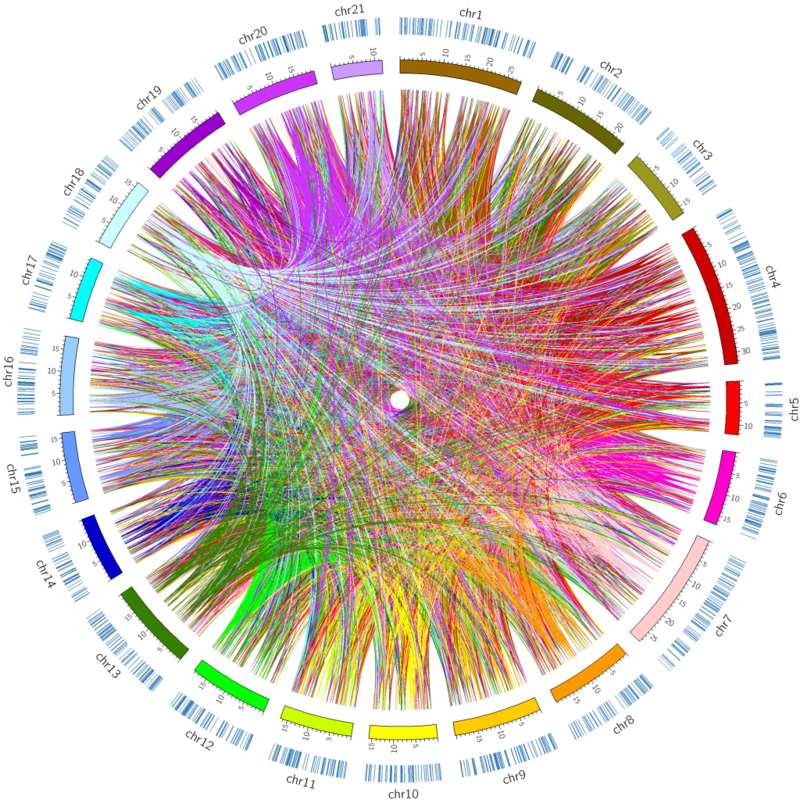 Circos: An information aesthetic for comparative genomics. Genome Research (2009) 10.1101/gr.092759.109. 3) Rastorguev, S. M., et al. Identification of novel microRNA genes in freshwater and marine ecotypes of the three‐spined stickleback (Gasterosteus aculeatus). Molecular Ecology Resources (2016) 16: 1491-1498. 4) Moseley, P. L., et al. Heat stress regulates the human 70-kDa heat-shock gene through the 3′-untranslated region. American Journal of Physiology-Lung Cellular and Molecular Physiology 264.6 (1993): L533-L537. 5) Gong, Yongfeng, et al. Claudin‐14 regulates renal Ca++ transport in response to CaSR signalling via a novel microRNA pathway. The EMBO Journal 31.8 (2012): 1999-2012. This entry was posted in bioinformatics, blogging, evolution, genomics, natural history, next generation sequencing, RNAseq and tagged genomics, micro-RNAs, scicomm, Science Communication, Stress. Bookmark the permalink.